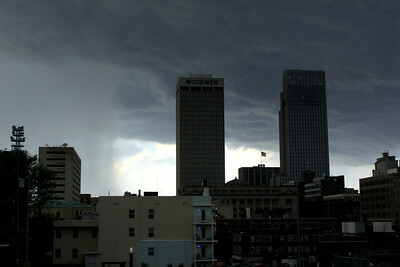 A wall of rain prepares to slam into the Woodmen Tower (left), and the First National Tower in downtown Omaha during the Midwest's worst drought in more than 50 years. 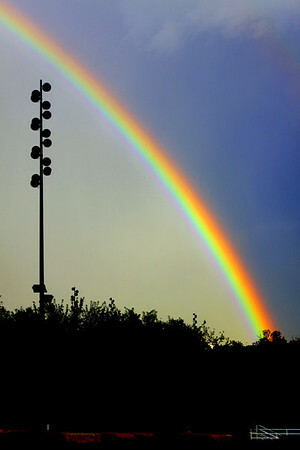 A beautiful rainbow that appeared following the massive storm that gave Omaha its first substantial rainfall in months during the drought of 2012. This was taken at Heartland of America Park outside of ConAgra Foods Headquarters in downtown Omaha, Nebraska.